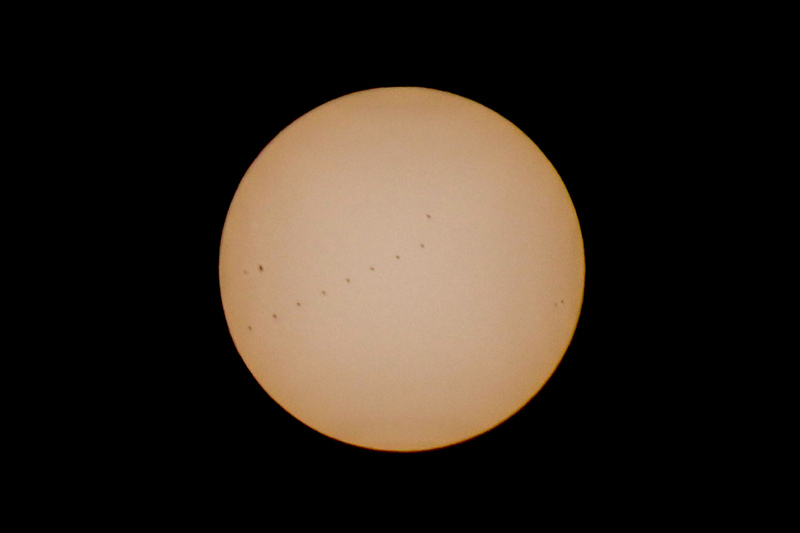 The International Space Station in front of the sun, also called Solar Transit, as seen from Heilbronn today. The Solar Transit took less than two seconds. Eight images of a continuous shooting were combined into one.